“Help me! What should I do? Yes, wedding happens once in a lifetime for some. But that doesn’t mean you should burn a hole in your pocket. In other words, apply KISS. 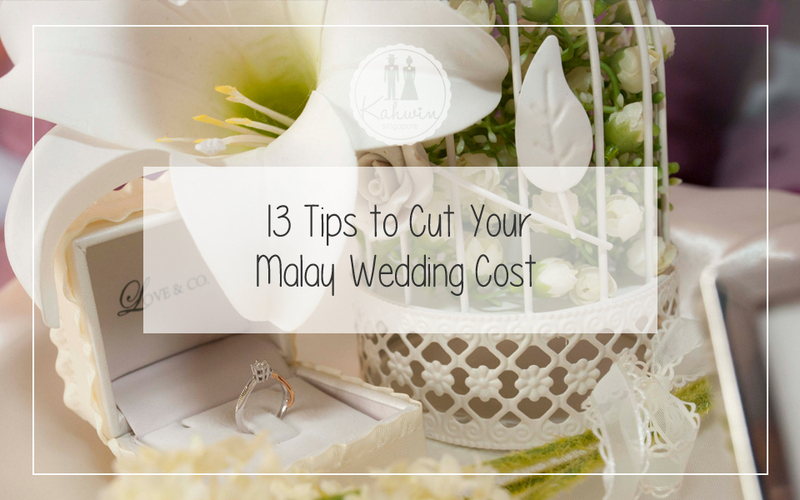 Still not sure or know how to cut your Malay Wedding Cost? Fret not, just bring your scissors and follow me. Because just like your love, they’ll never die. Okay, that was a bit cringy yet true. 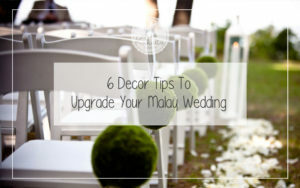 Yes, you can reuse those flowers during your solemnization ceremony and kenduri. On top of that, they are definitely cheaper than the fresh ones. And the best of all, you can keep them till your 30th wedding anniversary. How sweet. Weddings without performance is like eating Mac & Cheese minus the cheese. Get it? In other words, it’s pretty bland. That’s why you need a performance, a cheap one at that to cut your Malay wedding cost. Hence, your job is to survey for the budding musicians. Whether it’s your brother Aiman or the teen pop sensation-to-be in your town. Go and book them for your wedding day. Who knows they get to launch a career because of your wedding gig? Most people love to have their wedding during holidays. 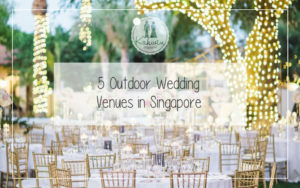 Even so, it is a known fact that the price of wedding venues is the highest at this time of the year. Thus, hold your wedding on weekdays or off-peak season instead. This is because wedding vendors are hungry for customers this time around. So, you could definitely haggle and pay less! Yeah, let’s save trees and screw those paper invitation cards. For you can now design your own e-Cards! You can use free software like GIMP, Inkscape or Editor by Pixlr. Then, you can send them through Facebook, Twitter, Instagram or even emails. Don’t feel like designing? Just send your guests an invite through Mark Zuckerberg’s infamous creation. Talk about macaroon, muffin and brownies. It’s undeniable that door gifts are everyone’s favourite. I mean, who doesn’t love kuih bahulu or cupcakes? However, these scrumptious things sure cost a ton! I’d say it’s time for DIY! Unleash the inner Picasso within you. Browse to Pinterest or Etsy for ideas or inspiration on door gifts. Frankly speaking, this could be a fun and rewarding experience to discover your artsy talent. Maybe, you are the next Da Vinci! For more tips on budget door gifts, read this post – Low budget yet amazing door gift ideas. 6. Thrift Store, Here I Come! Okay, so you want to make your own wedding gifts. But where should you buy the supplies? Nah, you can buy them for a super low price at the thrift stores. These stores possess lots of undiscovered gems that could be used on your wedding day. Stuffs like glass jars, tablecloths or even antiques can all be find here. This is perfect for those who would love to have an eco-friendly wedding. I know, watching ‘Say Yes to The Dress’ makes you love the idea of having your own wedding dress. Even I do. But honestly, I’ve never seen or met anyone who wear their wedding dress again. They usually keep them as their prized possession. So, it’s rather wasteful to buy something that you only going to wear once. In other words, find a good and cheap place to rent your wedding dress. Trust me, it’s a lot easier to rent than buy. You don’t have to worry about maintaining or storing the dress afterward. Apparently, that does not apply to your dulang hantaran. For their price, could feed you for a month. 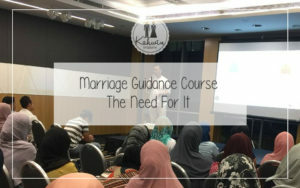 Just because your cousin had a 9 by 11 hantaran, doesn’t mean you have too. Keep your wedding as simple as possible by choosing the essentials versus wants. Think about how those saved moneys could aid your honeymoon later. You know, there’s this thing called iPoding. It’s a term used when you use your iPod or MP3 player to play your wedding songs. Plus, why pay a hefty sum when you can pay none? This is certainly for the ultra-cheapskates out there. Grab a laptop or iPod, speakers and voila! Play your wedding playlist on repeat. Just remember to exclude your Metallica songs from the playlist, okay? After all, you don’t want to scare the elders or babies. A rewang is the act of working together for a function. Usually, people in the countryside do this as it saves a lot of money. Family members work together in cooking and decorating for the wedding. Moreover, you can strengthen the family bond and get to know each other better. 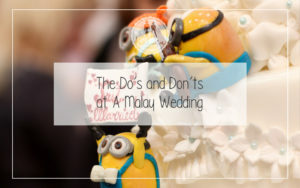 Therefore, rewang is surely the best option in wedding foods. For sometimes, it’s those traditional foods from rewang that people crave. Yup, don’t just invite everyone. Instead, invite your close family and relatives only. Okay, let’s face it. If you were to invite everyone that you know, would they surely come? No, right? Thus, send invitation to those that you know would take time off their hectic schedules. Undoubtedly, trimming down the guest list could definitely save you big bucks. Hehe, all of us have those friends who’re into photography and videography. Hence, it will be awesome if you could persuade them to be the videographer and photographer on your wedding. I bet they’ll feel honoured to be given such important job. Other than that, you could definitely kawtim with them when it comes to paying. However, please read my tips on choosing a photographer and videographer to ensure that your wedding photos are of high quality. No, I don’t mean you should serve those sachet drinks that you bought at Tesco to your guests. Absolutely not! 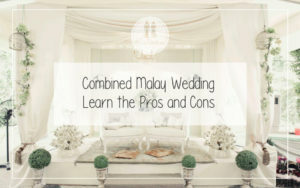 To lessen down your wedding cost, hold your solemnization ceremony and kenduri on the same day and at the same place. So, which tip helps you the most? Tell me your thoughts in the comment section below.